"In a breathtaking few weeks [Mr Cameron] has issued announcements on everything from immigration to the environment, education and tax. It has been a bravura if somewhat glib performance. His policy is clear. He believes he can afford to risk offending traditional Tories with liberal policies that reach out to people who wouldn't normally dream of voting Conservative. This is a high risk strategy." "As a new broom, Mr Cameron could have chosen to distance himself from [the Iraq] debacle. Instead, all the signs are that he wants to cosy up to the discredited Bush administration." The Mail intervention follows The Times' suggestion that Mr Cameron was in danger of being a "political tart", The Business (which, every Sunday, offers my favourite editorial pages) warning about a lack of boldness, The Telegraph's concerns over redistribution and the delayed exit from the EPP; and yesterday's interventions by The Sun and The Spectator. None of this means that Mr Cameron's leadership is in any kind of danger. The same newspapers recognise Mr Cameron's political starpower and his impact on the Tories' poll rating. 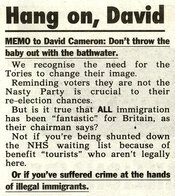 Mr Cameron should not be tempted to ignore these warning shots, however. He may have been elected Tory leader without much help from the 'Tory press' but he shouldn't unnecessarily offend them and their readers. ConservativeHome welcomes the new leader's emphasis on environmental and justice issues but as argued on Thursday - the new issues should be locked to the more familar conservative beliefs through the discipline of the 'And Theory'. No ToryDiary posts today but today's newslinks can be found in the usual place. An unofficial online petition of LibDem members and supporters - Kennedy Must Go - claims to have attracted over 3,000 signatures. That number includes 386 local councillors. For more see this on BBCi. Today's Independent reports that LibDem MEPs are rebelling against Mr Kennedy's proposed new policy paper on the Common Agricultural Policy: "Chris Davies [pictured], leader of the Liberal Democrat group in the European Parliament, threatens publicly to disown the document, which is due to be published in a fortnight by the party's environment and rural affairs spokesman, Norman Baker." Mr Cameron's advisers will see this as vindication of the new Tory leader's high profile attempts to woo LibDem voters and thus destablise the party leadership. Over the next few days I'd like you to use this thread to nominate an individual (living or dead, politician or otherwise) who you think is the biggest influence on David Cameron. Is it George W Bush? Some believe that DC is copying George W Bush's emphasis on compassionate conservatism. DC is also said to be a supporter of the Bush-led war on terror. Is it William Hague? The former Tory leader is DC's effective deputy and helped put Mr Cameron's shadow team together. Other leading members of the shadow cabinet - George Osborne and Liam Fox - are key allies and supporters of Mr Hague. Is it Oliver Letwin? Mr Letwin is overseeing the party's policy review and Mr Cameron has already adopted Mr Letwin's cautious approach to tax relief and his Kyoto environmentalism. Is it Tony Blair? Mr Cameron has himself suggested he might be the natural heir to Blair and that he would fulfil Mr Blair's reforming ambitions in ways that Gordon Brown simply won't. Is DC adopting the Clintonian technique of triangulation as he distances himself from the old right and Brownite left? I'll then choose five nominations and invite five people to write 400 word nominations sometime next week which we'll then discuss. Over the last few days there have been signs of restlessness amongst the Conservative and right-of-centre press. Concerns were first expressed by The Business but have been more recently taken up by The Telegraph (on redistribution and the delayed exit from the EPP) and today by The Spectator. 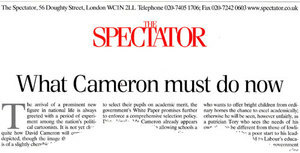 Education: "Disturbingly, Mr Cameron already appears to be ditching his belief in allowing schools a free policy on selection: ‘Representing, as I do, small towns with one or two schools, the last thing you want is for one to be a selective school and the other not to be.’ But why would that be such a bad thing? And if it is, does Mr Cameron also now oppose the policy of his alma mater, Eton College, also to select its pupils on academic merit on the grounds that the only other school in the neighbourhood is a comprehensive? Mr Cameron must make it clear that he is a meritocratic Tory who wants to offer bright children from ordinary homes the chance to excel academically; otherwise he will be seen, however unfairly, as a patrician Tory who sees the needs of his own class to be different from those of lowlier birth." Environment: "Kyoto will not stop global warming, but it will make the poor more vulnerable to climate change by restricting economic growth. For the cost of Kyoto to global development in a year, the world’s poor could be provided with clean running water and there would still be some money left over for flood defences." "Reminding voters they are not the Nasty Party is crucial to their re-election chances. But is it true that ALL immigration has been “fantastic” for Britain, as their chairman says? Not if you’re being shunted down the NHS waiting list because of benefit “tourists” who aren’t legally here. Or if you’ve suffered crime at the hands of illegal immigrants." The Sun was reacting to yesterday's call from Damian Green for the EU Worker Registration Scheme to be scrapped. Download Damian_Green's_press_release here. This approach is winning rave reviews amongst Britain's new establishment and is undoubtedly contributing to the opinion poll leads that the Tories are starting to enjoy. Mr Cameron has yet to give much attention to more traditional Tory issues, however - like the tax burden, early prison release programmes (the danger of which was shown up by the Monckton case), localism and family values. A leader in The Telegraph calls on Mr Cameron to remain faithful to his EPP pledge after a growing number of Old Europeans on the Tory benches have organised to torpedo it. It is unfortunate that Mr Cameron's very necessary and correct commitment to progressive or justice causes is not being seen to be anchored in the And Theory Of Conservatism. The And Theory (which he used throughout his leadership bid) can act as an important discipline on the Tory party - anchoring modernisers in traditional Tory beliefs and encouraging core vote Tories into broader, more progressive policy areas. The danger of not consistently linking Euroscepticism to global poverty relief, for example, or the empowerment of the poor with targeted tax relief is that the media establishment will cry foul when (hopefully) the party does give these issues fair emphasis in the future. Mr Cameron needs to make it clear that he is a 'total conservative'. A conservative who believes in lower taxes, Euroscepticism and a tough approach to crime as well as in fighting global poverty and saving the environment. Much of the media do not understand that these sets of belief are perfectly compatible but Mr Cameron has not yet given a big speech which explains that they are. That speech - and a supportive strategy - needs to come soon. In the meantime it is left to other groups to champion 'core vote' concerns. The excellent Taxpayers' Alliance receives coverage in this morning's Mail, Express and Sun for its report on government non-jobs. The report written by Peter Cuthbertson is welcomed in a Sun leader. 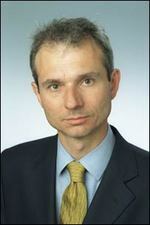 Andrew Green of Migration Watch UK was on Today this morning, pointing out failures in Labour's immigration policies. It must also develop more effective groups that campaign for the more traditional conservative beliefs - like small government, decentralisation and family values. "I've noticed that friends usually bored by all matters Westminster want to talk about David Cameron; they want to know everything about him. Within the next few months the British public will reach a gut feeling about Cameron that, once in place, will be hard to shift. Will they regard him as a pretty-boy toff, too callow to be prime minister? 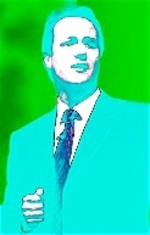 Or will they buy the JFK hype and see him as a leader-in-waiting? The current mood suggests the latter - but it's not a done deal yet." Today's news that Bob Geldof has joined David Cameron's globalisation and global poverty policy group is a key sign of the centrality of Mr Cameron's 'modern compassionate conservatism' in his first 100 days. Economic competitiveness and security policy groups are being launched after those charged with social justice, the environment and now international development. The role of NGOs in the World Bank, IMF and other multilateral bodies. 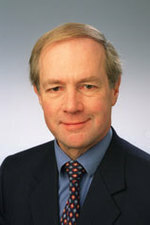 Peter Lilley MP will oversee the group's work. A former Tory cabinet minister with responsibilities for trade and industry and then social security, Mr Lilley "devoted almost ten years to working on aid and development projects, mostly in Africa" before becoming an MP. His online biography tells us little more about this 'devotion' but he was well ahead of his time in calling for a more compassionate Conservative Party. As Deputy Tory Leader, in October 1997, Mr Lilley gave the First William Wilberforce Address to the Conservative Christian Fellowship. He used his Address to argue for a Conservative Party that focused much more on the needs of poor Britons. Although Mr Lilley has been a supporter of the decriminalisation of cannabis his emphasis on poverty has separated him from the narrow Soho style of modernisation championed at that time - and ever since - by the Portillistas. The involvement of Bob Geldof, inspiration behind this year's Live8 event, is the one that has caught the attention, however, and led this morning's Radio 4 news bulletins. It is not the first time that Mr Geldof has backed small 'c' conservative campaigns, however. He has helped the Eurosceptic 'vote no' campaign and recently promoted traditionalist views on marriage. Mr Lilley used an interview on this morning's Today programme to welcome Mr Geldof's involvement and he said that Mr Geldof would be helping put the group's membership together - which, he hinted, would include representatives from the developing world. But if Mr Geldof's early involvement is a publicity coup, The Daily Telegraph's leader writers are concerned that he might be unable to support the policy group if it recommends a truly right-of-centre anti-poverty agenda. For The Telegraph that means "secure property rights, limited government, action against state monopolies and cronyism and, above all, independent mechanisms for judicial arbitration through which the citizen can realistically seek redress". Alex Singleton of the Global Institute recently used this blog's Platform to argue for an intellectual revolution in international development. He expressed concern that the Make Poverty History campaign - closely associated with Mr Geldof - was "wedded to outdated trade ideas about protecting infant industries and top-down approaches to aid". Mr Geldof may help to make Mr Cameron's first 100 days campaign to pass IDS' test but his maverick views may create tensions in coming months. 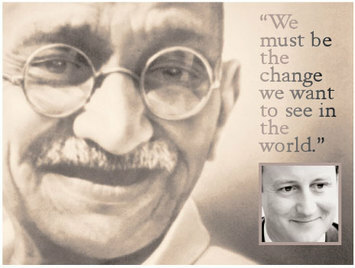 It will certainly fuel right-wing concerns that Mr Cameron's policy groups may include people with too divergent views. That concern will only have been confirmed by a report in today's FT which notes Zac Goldsmith's views on big business and nuclear power. Mr Goldsmith sits on the party's environment task force. "Even supporters concede that if all countries complied the amount of warming prevented by 2100 would be at most 0.2 degrees Fahrenheit, except that 0.2 degrees is unmeasurable. Certainly it won’t save a single polar bear." The PR of Mr Cameron's policy groups is impeccable but all the hard policy choices lie ahead. "I think we are entitled to expect more bi-partisan support from the opposition than we've got in recent times. I hope there will be a fresh approach under the new Tory leadership. I think it is a great shame that the bipartisan policy which helped deliver peace and stability, unparalleled peace and stability for Northern Ireland, should have been broken by the opposition in recent years." “We continue to operate a bipartisan policy on Northern Ireland wherever possible, which sometimes involves giving the Government the benefit of the doubt... On this Bill we are looking at something that would allow people who have committed barbaric murders, things like the Enniskillen Poppy Day massacre, to go free without serving one day in prison, or even appearing themselves in court." Mr Lidington branded Labour's proposed amnesty for 'on the run' terrorists as a one-sided concession to the IRA which, he suggested, continues to turn criminality on and off at will. Mr Lidington noted that it was Labour which had pushed Northern Ireland bipartisanship past breaking point. The Liberal Democrats, both Unionist parties and the nationalist SDLP have joined Tories in opposing a measure that did not appear in the Good Friday Agreement. Since the ‘appeasement process’ began Northern Ireland’s two moderate parties have been virtually “wiped out”. This is not the verdict of an opponent of the Good Friday Agreement but of Seamus Mallon, the recently retired SDLP MP and leading architect of the Agreement. Mr Mallon told The Daily Telegraph how Sinn Fein “damn well near lived in Downing Street” throughout the process. The nationalist electorate got the message that “these are the people we should support because they are the people doing the deals”. At the same time that the moderate SDLP lost ground to the extremist Sinn Fein, David Trimble’s Ulster Unionists have lost votes to Ian Paisley’s hardline Democratic Unionist Party. 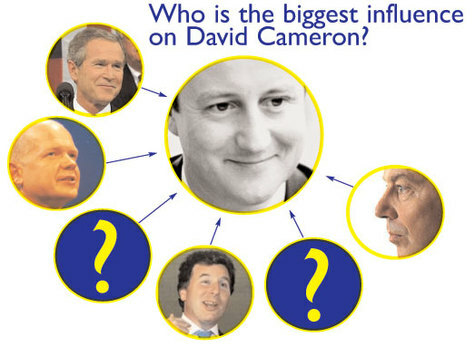 Oliver Letwin is one of the most influential members of David Cameron's team. He was Mr Cameron's biggest backer in the early days of his campaign and has been appointed to oversee the new leader's policy process. His Kyoto environmentalism and cautious approach to taxation have also been adopted by the new Tory leader. 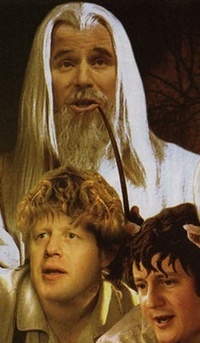 When the Notting Hill set compared David Cameron to Frodo, Letwin was seen as a Gandalf figure - Middle Earth's older and wiser statesman (picture and story from The New Statesman). Oliver Letwin has travelled a long way since being one of the authors of the controversial poll tax (I mean community charge) - one of the most regressive forms of taxation ever introduced in modern Britain. Mr Letwin's journey has taken him from regressive taxation in the 1980s to redistribution today. In an interview with The Telegraph Mr Letwin tells Rachel Sylvester: "Of course, inequality matters. Of course, it should be an aim to narrow the gap between rich and poor. . . not by trying to do down those with most but by enabling those who have least to share an increasing part of an enlarging cake." Ms Sylvester is struck with Mr Letwin's use of "the R-word": "It's more than a matter of safety nets," he says, "We should redistribute money." "In one sense, Mr Letwin is merely stating the obvious when he says "we do … and we should redistribute money". It is, however, a naive choice of word, with overtones of the belief that national wealth is a fixed and limited sum, to be divvied up "fairly" by the government... The way to demonstrate compassion, however, is not to echo the obsolete consensus that has delivered such tragedy. Britain has enjoyed redistribution on a vast scale since 1997, yet the degree of income inequality has remained unchanged. Unless radical reform is undertaken in the public services, more money and more people will be sucked out of the productive and into the unproductive sectors of the economy." Mr Letwin says that the Social Justice Policy Group, under the chairmanship of Iain Duncan Smith, has been charged with finding solutions to inequality. He also tells The Telegraph that the pursuit of social justice "is not just about money... it is about the homes people live in, the lack of supportive relationships, the way parents bring up their children." There's no mention of rising violent crime or Tony Blair's £2bn raid on Mrs T's rebate handbag. 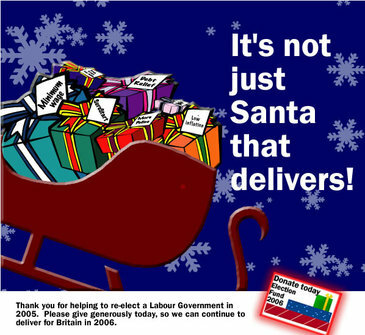 Labour's gifts all look pretty insecure in that sleigh, too. One unexpected jolt and a few might fall to earth with a crash. And where's Santa-lookalike Frank Dobson? I think we should be told. One of the changes I’d like to make in 2006 is for our party to show sustained leadership on environmental issues. I want us to meet the aspirations of the millions of people who care deeply about the environment and our quality of life. It’s the right thing to do - and we can start straight away. So once again, Happy Christmas - and let’s look forward to 2006 confident in our opportunity to become a growing voice for change, optimism and hope. Editorial: Is David Cameron a 9/11 person? Brendan Simms of the Henry Jackson Society has written an interesting article about David Cameron's neoconservative credentials - a UK version of which appears on the Social Affairs Unit's blog and a US-tailored version on the website of the left-liberal New Republic magazine. He gave an excellent speech on Iraq during his leadership bid. In that speech, as Mr Simms reminds us, he argued that the challenge of extremist Islamist terror is "at root ideological". He also warned that appeasing Middle Eastern states amounted to appeasement. He has appointed supporters of the Iraq war to the top positions in his shadow cabinet. William Hague as Shadow Foreign Secretary and Liam Fox at Defence are the most relevant appointments but George Osborne and David Davis are also hawkish in the war on terror. Perhaps as significant is the fact that Sir Malcolm Rifkind, a vociferous opponent of the liberation of Iraq and author of the Major government's lamentable policy in Bosnia, is on the backbenches after being refused the job he wanted. Last week he suggested that the LibDems and Conservatives that "we're on the same side now" over the Iraq situation: "We want to see the same things happen as quickly as possible: democracy established… security guaranteed… and our troops coming home, as quickly as possible." In last Sunday's The Business, Fraser Nelson reported the reaction of Tory MPs who heard Cameron declare they “are on the same side now” as the Lib Dems on the Iraq war: "There remains a large chunk of the party for whom this is the deepest of insults. Cameron’s enemies hope their young leader is making a naïve mistake and hope to explain to him the irreconcilable differences between the Lib Dem and Conservatives on the war on terror." The LibDems and the Tories should not be on the same page as the Liberal Democrats on Iraq. Brendan Simms suggests that John McCain is probably the "closest match with Cameron". I am not (yet) persuaded by that. As reported in a recent Ten Point Briefing John McCain knows that success in Iraq probably needs more troops. 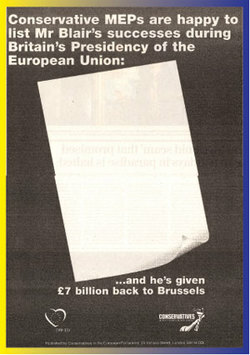 The LibDems wouldn't support that and David Cameron hasn't hinted at such boldness. The Afghan and Iraq chapters are only the beginning of the war on terror. What are we going to do about Iran and other rogue nations? Military action may not be the best option on Iran but is David Cameron capable of the boldness that the post-9/11 world demands? It is an impossible question to answer but his hesitant initial support for the war on Iraq is one concerning indicator. He made a great deal - during his leadership bid - about Darfur: "When the Conservative Party talks about foreign affairs it can't just be Gibraltar and Zimbabwe. We have got to show as much passion about Darfur and the millions of people living on less than a dollar a day in sub-Saharan African who are getting poorer while we are getting richer." But when it came to explaining what he would do for the people of Darfur he only offered to explore the poseur multilateralism of a UN-based solution. A real neocon would be looking beyond the UN and towards the sort of ideas put forward by Ruth Wedgewood of the US Center for Security Policy. Professor Wedgwood has called for the UN's mismanagement and ineffectiveness to be challenged by what she called "competitive multilateralism". New and existing coalitions of the willing - from NATO to the Economic Community of West African States - could be employed to undertake security and humaniarian actions that the likes of China, Russia and France will always veto. Yesterday Tory defence spokesman Gerald Howarth gave a warm welcome to another big arms sale to Saudi Arabia. I have big reservations about selling arms to a regime that is so unloved by its people and is guilty of so many human rights abuses. Selling arms to the House of Saud is, I fear, short-sighted. Read this if you want to know more about one of the world's ugliest regimes. Another big difference between Cameron and America's conservatives is their approach to homeland security. David Cameron is constantly emphasising civil liberties whilst George W Bush emphasises the Patriot Act. The right balance may lie somewhere between the two. During shadow cabinet discussions on the recent 90-days-without-trial legislation David Davis, Oliver Letwin and Liam Fox were tilting towards the most civil libertarian position. David Willetts, George Osborne and Andrew Lansley were urging greater sensitivity towards public opinion on civil liberties. David Cameron would do well to listen to those around him who urge a more pre-emptive approach to protecting the public from domestic threats. Where's the clear blue water between Blair and Cameron? At his last press conference of 2005 Tony Blair said that David Cameron's only big idea was to become more like New Labour. 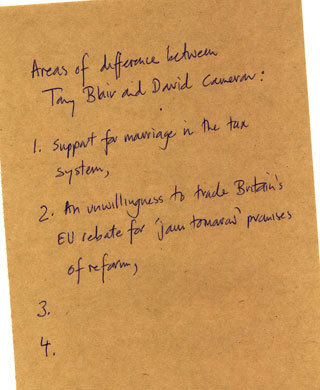 I've started by identifying David Cameron's support for marriage and his opposition to Tony Blair's "EU rebate deal". Should Scotland become a low tax haven? "I certainly have doubts about fiscal autonomy, but the right process is for the Scottish Conservatives to look at how the Scottish Parliament is working. If they come up with an answer that a greater degree of fiscal autonomy is the right approach, then that is a decision which we will have, with colleagues in Westminster, to work out whether that is the right thing for the UK." In July George Osborne had already expressed support for Scottish Tories using their freedom to lower income tax (compared to England & Wales) by the permitted 3%. Some Unionists fear that deeper fiscal autonomy is a giant step towards Scottish independence but other Scottish Tories see it as a way of rejuvenating their country's sluggish economy. Oberon Houston described some of Scotland's socioeconomic challenges in his November Platform post. Proponents of fiscal autonomy see Ireland's Celtic Tiger experience - built on the back of lower taxation - as a model for Scotland. "I believe these values reach far beyond the Conservative Party. Many Liberal Democrats share these values. And many Liberal Democrats share with us a clear analysis of why Labour has failed to live up to its promise. That's why I'm so eager for Liberal Democrat voters to reject their party's coalition with Labour in the Scottish Executive. The coalition hasn't delivered liberal solutions to Scotland's problems, and it hasn't respected the values that liberals hold so dear..."
A leader in The Herald gives Mr Cameron's Scottish visit reasonably positive treatment but the danger of cosying up to the Scottish LibDems is that interesting - but controversial - ideas like fiscal autonomy may be harder to pursue. There were lively exchanges in the European Parliament today as Tony Blair defended the weekend's EU budget agreement before MEPs. Tony Blair received some stick but he gave as good as he got. Echoing John Major's choice of words after 1991's Maastricht Treaty, UKIP's Nigel Farage said that it had been "game, set and match to President Chirac". Mr Farage told the Parliament that Mr Blair had "been outclassed and outplayed at every turn" by a French President who, unlike Mr Blair, had defended his nation's interests. "Britain's favourite newspaper, The Sun, says "Tony Blair is to surrender billions of pounds of taxpayer's cash, and get nothing in return". In its editorial of December 1st, it says "This is treachery". Treachery, Prime Minister. Not a nice word. Not my word. The Sun's word. But I and millions of Sun readers agree. You are giving away a huge sum of money, simply as a fig-leaf for your failure. But this is not your money, or the government's money. It is our money. It is the tax-payers' money. They say you are concerned about your legacy. Prime Minister, I can tell you what your legacy will be. You will be remembered as the man who squandered Margaret Thatcher's legacy." A visibly angry Mr Blair told his critics that "This is 2005, not 1945... We are not fighting each other any more." Looking towards Mr Farage and Mr Helmer he said: "You sit with our country's flag, you do not represent our country's interest". Radio 4's World at One said that the most prominent voice in support of the Prime Minister's "deal" was EPP leader Hans-Gert Poettering MEP. He described the agreement as a "positive compromise". The group of Tory MEPs are currently permitted to spend only a third of the Information Budget. The wider group controls the rest and used it to fund 'Yes' campaigns earlier in the year. A poll last week put Mr Kennedy on just 11% as the public's favoured choice for PM. The weekend's newspapers carried more allegations about Charles Kennedy's drinking habits but he insisted that he was an "extremely moderate and infrequent consumer of alcohol" during an interview on ITV1's Dimbleby Programme. David Davis was on the Today programme this morning - to discuss Tory opposition to Labour's plans to reduce the 43 police forces of England and Wales to something between 12 and 19 in total. The LibDems and Tories are uniting - again - in their opposition to this Labour project. This was Mr Davis' first major interview since losing the Tory leadership and he took the opportunity to welcome the progress that "Cameron's Conservatives" have made over the last twelve days. Describing himself as a libertarian he welcomed Mr Cameron's efforts to tackle the perception that Tories stood against immigrant communities. He said that Tories needed to combine a policy of controlled immigration with respect for minority communities. "When Margaret Thatcher beat Neil Kinnock in 1987 many political experts said Labour were finished for all time. They could not have been more wrong. When John Major, William Hague, Iain Duncan Smith and Michael Howard all sank as Tory leader the same experts said the Conservatives would never come back. Yet a weekend poll puts new Tory leader David Cameron an astonishing NINE percentage points ahead of Labour. It just goes to show that in politics it’s dangerous to try to be wise even after the event." Cameron actually does Blair a lot better than I do. (And, in fact, a lot better than Blair does, now.) You only have to listen to his acceptance speech: all the talk is of opportunity, future, positive politics. It's absolutely Blair circa 1995. Like the Labour Party, the Tories have realised that they need someone young, charismatic and appealing (relatively speaking) if they want to win power; and, like Blair, Cameron knows that if you want to be prime minister, you need to be the leader of a major political party. Now all he has to do is change that party completely. If he can do that, he'll deserve to do well. But not one of the major issues in recent politics has been solved by charisma alone. Once again, a political party may have fallen for the appeal of what someone once memorably described as "the winning yesterday"." David Cameron may have been head of policy when Michael Howard ran his "It isn't racist to impose limits on immigration" campaign... but that dog-whistle approach to politics was comprehensively buried by his interview in today's Observer. Continuing his appeal to Liberal Britain Mr Cameron also told The Observer that Conservatives should "no longer be the 'mouthpiece' of big business". Conservatives should, instead, be the champion of working parents, environmentalists and other causes whose interests clash with the Tories' friends in the City. Mr Cameron said that he will take a week's paternity leave when his third child is born early in the new year. Shadow Foreign Secretary William Hague will take charge in his absence. A MORI survey for this morning's Observer gives David Cameron's Conservative Party a 9% lead over Labour. This is a much bigger lead than that recorded by competitor pollsters but appears to confirm Michael Portillo's argument that the tectonic plates of politics are moving. THE HAPPY FRENCH: "Alan Posener, chief leader writer for Germany’s influential Welt am Sonntag newspaper, said the prime minister had gone away virtually empty handed after being outmanoeuvred by the French president. 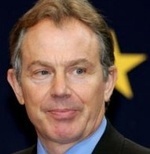 “Chirac’s praise for Blair is the kiss of death because Blair couldn’t get anything he wanted,” Posener said. “He was so desperate for a deal that he was willing to settle for a vague promise that France would some day review its farm subsidies. That is worthless. 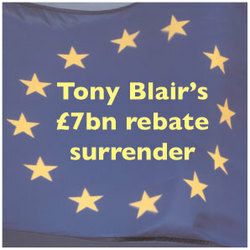 “It is a black day for Europe and a black day for Tony Blair because France was unwilling to move.”"
THE UNHAPPY CHANCELLOR: "The Treasury is said to be "quietly fuming" about the deal agreed by Blair, which will see Britain paying 60% more to the European budget and the UK rebate cut by £1 billion a year for seven years, in return for a mere review of farm subsidies." The Scotsman: "South Ayrshire became Scotland's only Conservative-led local authority yesterday. The switch came after the resignation of Andy Hill, the Labour leader, last month which left Labour with 14 councillors and the Conservatives 15. The Conservatives sought a special meeting of the council at which, by a 15-14 vote, they secured the posts of council leader and deputy leader."